The Dark Horse Comic Collection at the Portland State University Library provides a unique legacy for Oregon’s premier comics company. Dark Horse Comics was founded in 1986 by PSU alumni Mike Richardson, Class of 1977, as an offshoot of his comic book retail chain, Pegasus Books (founded in 1980). Dark Horse has since grown to become the third largest American comics company. PSU alumni, Neil Hankerson, Class of 1972, joined the company in 1987 and became its Executive Vice President. This major collection honors the importance of the comics format, while providing PSU students, faculty, and researchers access to these works. This gift provides copies of all materials produced by Dark Horse, resulting in a complete and preserved collection of the Dark Horse corpus. It is a unique research and browsing collection of comic books, graphic novels, collected editions, related books, statues, figures, and other materials. The research collection contains one copy of every Dark Horse comic book, graphic novel, collected edition, book, print, poster, statue, figure, and all other products. The research collection is available by appointment in Special Collections, 1st Floor, Room 180, for scholarly use. The browsing collection is available on the third (titles starting A–F), fourth floor (titles starting G–R), and fifth floor (titles starting S–Z) of the Library along the curved windows. There is one copy of every Dark Horse comic book, graphic novel, collected edition, and book. The collection is available for reading in the Library or for checkout. In addition, these works are available for Interlibrary Loan to other libraries. Records for all of these items are in the Library catalog. 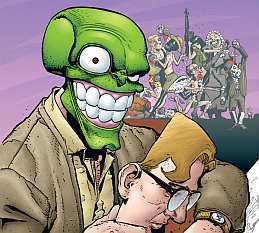 The Mask® © 2009 Dark Horse Comics, Inc. All rights reserved. 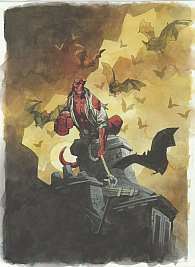 Mike Mignola’s Hellboy™ © 2009 Michael Mignola. All rights reserved. 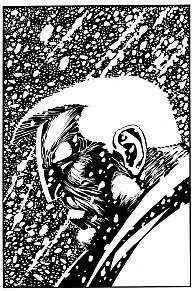 © 2009 Frank Miller, Inc. All Rights Reserved. “Marv” and all other characters featured herein and the distinctive likenesses thereof are trademarks of Frank Miller, Inc. 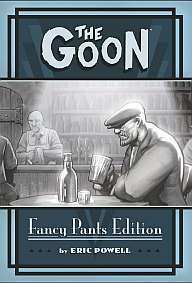 The Goon™ © 2009 Eric Powell.